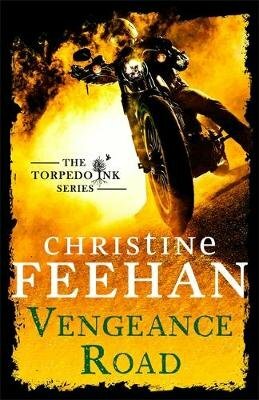 Christine Feehan takes romance full throttle in the second gripping novel in her No.1 New York Times bestselling Torpedo Ink series. Breezy Simmons was born into a ruthless motorcycle club - and now that she's out, she's never going to be that girl again. But when her past catches up with her, Breezy must go to Sea Haven to seek out the man who almost destroyed her. The man who chose his club over her and left her feeling used and alone. As vice president of Torpedo Ink, Steele is ride or die for the brothers he lived through hell with. He never thought he'd find something as pure as his feelings for Breezy, or that keeping her safe would mean driving her away with cruel words that turned her love for him to ash. Now, Steele won't let her walk away twice. He'll do whatever it takes to make Breezy his woman again - especially when he learns the real reason she came to him for help, and that the stakes are higher than he ever could have imagined . . .